Silver Dollar City in Branson, MO has always been known for its dedication to authenticity and reinvesting in new park projects. The Culinary Arts Building, on the grounds of Silver Dollar City, fireplace is no different and Wesley Johnson Masonry just finished the custom fireplace you now see rising some 20 plus feet in the air. The first step in construction of the custom Silver Dollar City fireplace was design, which was done ‘in-house’ at our local Missouri construction office. The materials used were mainly ‘Johnson Stonecast Stone’ and natural stone for hearth. Wesley Johnson Masonry worked alongside another artisan to create spaces for his copper plating and adornments. 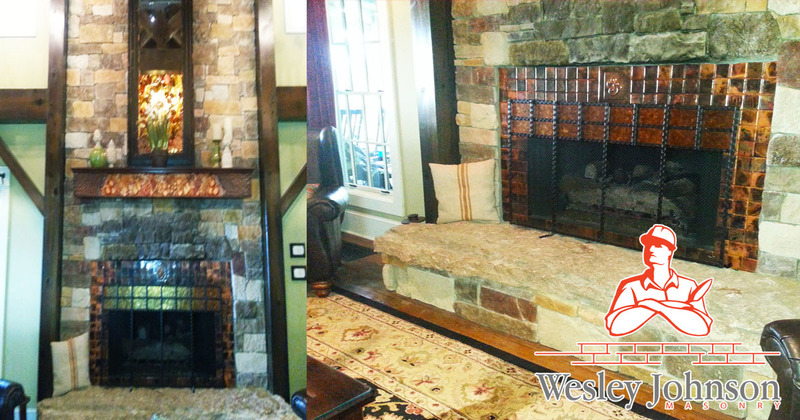 Custom Fireplaces are just one many types of masonry construction that Wesley Johnson Masonry does in Southwest Missouri and Northwest Arkansas. In business for nearly 2 decades, We handle all types of masonry construction including fireplaces and landscape masonry like retaining walls and other decorative pieces to beautify and increase the value of the outside of your home. 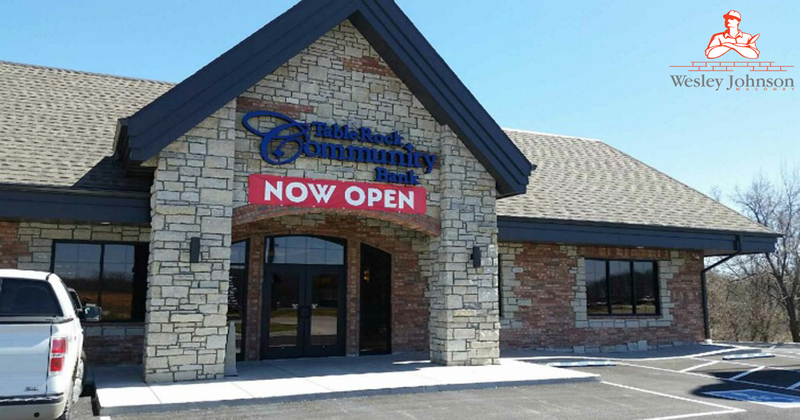 We have also been apart of large commercial construction projects and large residential construction masonry jobs. If you would like a free custom fireplace quote or one similar to the Culinary Arts Building, Silver Dollar City fireplace, contact us here or call (417) 339-7689.